Get to know our tutors before scheduling a session. You will see they are real people who are compassionate and enjoy helping students just like you do better in school. We want you to feel comfortable and safe and believe the best way for that to happen is to learn about our tutors. Our tutors come from diverse academic backgrounds. Many are special education teachers while others hold law degrees or PhDs is their subject area. Most have been teaching for years while some of our newer tutors have been teaching for a few years but love it so much they also tutor with us. We specifically hire tutors who can help disadvantaged students bridge learning gaps and achieve academic goals. Communication is important during the tutoring process. Because we understand this, we hire tutors who speak multiple languages so they can effectively communicate with students and parents. If you have a specific language concern, just let us know. Our goal is to make sure the best tutors are available to help your child! Our English tutors can help with K-12 reading and writing assignments whether it is preparing for spelling tests or writing an essay. They also help students prepare for the writing portion of AP and college entrance exams. Tutors can help you learn the difference between a metaphor and a simile or write a strong thesis statement for a research paper. 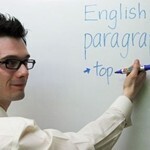 English tutors at InstantTutor are K-12 teachers, college English professors, or college Literature professors. Tutors are ready to help you with your reading/language arts or English homework now. Math tutors can help with K-12 math-related problems ranging from basic math problems to complex mathematical formulas used in other subjects like chemistry or physics. Our tutors also help students study for college entrance exams. 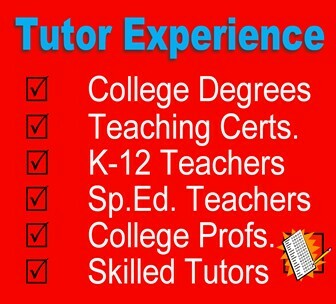 Math tutors at InstantTutor are K-12 teachers, college math professors, or degreed mathematicians who work in private or public sector jobs but have a love for teaching. If you have a math problem, you will get a math tutor who not only loves math but can help you understand one of the most difficult subjects for students. Completing social studies homework or studying for a test is fun with our social studies teachers who can help students earn higher grades. They have years of experience engaging students in a subject that many find difficult. Social studies tutors at InstantTutor are primary and secondary school teachers who teach social studies and history. We also have tutors with history degrees who tutor high school students and provide AP support as well as test prep tutoring. Regardless of your social studies question, our tutors are ready to provide expert assistance. Our science experts make it easy for students to apply what they learn in class. You can receive help with biology homework, get ideas for a science project, or study for a chemistry test. 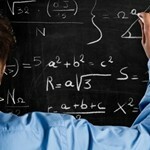 We have science tutors that specialize in college entrance exams. Science tutors at InstantTutor are certified teachers, college professors, and degreed scientists in the private and public sectors who have experience tutoring. 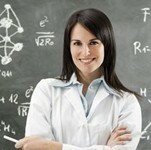 Our tutors can help with any science assignment or project you are struggling or simply review a few answers for you. We hire tutors who are not only experts in subject areas but also those that specialize in AP test preparation. Tutors are available for every AP test subject. Their goal is to help you get the college credit you have worked so hard to earn. 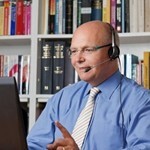 AP tutors at InstantTutor teach AP classes or are college professors. If you need help with an AP class, you will not be matched with a tutor without that experience. You can expect professional tutoring support at the level you need to do well on your homework assignment. Our test prep expert prepare students to take and pass the ACT, SAT Subject Tests™, GED®, GRE, GMAT, LSAT, and MCAT exams. Each of our test prep tutors has a proven track record of helping students earn high scores on these exams. Test prep tutors are experts in their subject areas. When you need help preparing for a college entrance exam or the GED® exam, you can trust InstantTutor to provide expert assistance.